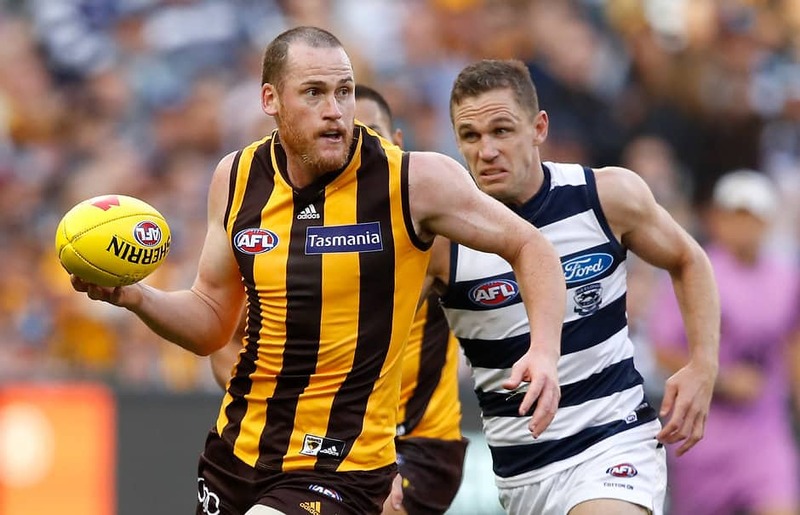 Hawthorn captain Jarryd Roughead will miss his first match – against Geelong at the MCG on Saturday – since returning from his cancer battle last year. Roughead's late withdrawal because of an ankle injury means fourth-year ruckman Marc Pittonet is in for his fourth career match after last playing at AFL level in round 23, 2016. "'Rough' has been managing some ankle soreness for a period of time, and unfortunately he just wasn't able to get up in time for this week's clash," Hawks football boss Graham Wright said. "He will rest up this week and will hopefully be ready to return for next week's clash with the Saints. "The positive is that it gives an opportunity to Marc Pittonet, who has been in really good touch for Box Hill this season." It may mean Pittonet carries a heavy load in the ruck, with partner-in-crime Jon Ceglar likely to absorb most of Roughead's minutes in attack with Ben McEvoy still out. The Hawks' other addition this week is Irishman Conor Nash, who will make his debut in the same game countryman Mark O'Connor returns for the Cats. Geelong also regained influential defender Tom Stewart, in-form big man Rhys Stanley, Quinton Narkle and James Parsons for the pivotal clash. Three of the last four meetings between the clubs were decided by three points or fewer and this latest match-up carries extra significance given both are in a fight for a finals berth.